TCL TVs: Are they any good? Which are the best deals? | What Hi-Fi? TCL TVs: Are they any good? Which are the best deals? TCL 4K TVs can be super-cheap, but should you buy one? New year, new you TV? If you decided it was about time to get a new TV, then you may've started browsing the sales. And if that's the case and your budget is modest, you may well have come across TCL TVs. Over the years, Chinese TV brand TCL has built a reputation for making an abundance of affordable TVs. In 2017 it became the third-biggest brand in North America and, according to the company, its LCD TV sales are growing rapidly year-on-year with TCL TVs now in the UK and several other European countries. The brand focuses on cheap 4K TVs, including the TCL 43S425, 55S405, 55R617 and 55S517 in the US. In the UK and Europe you may have seen the DP608, DP628 (43in, 50in, 55in), DP648 (43in, 50in, 55in and 65in) and DC748 series. With prices starting from just $259/£279 for a 43-inch 4K TCL TV, it's no wonder people are tempted. But are TCL TVs any good? And should you buy one? We've run the rule over all the TCL TVs on the market in the UK and US, and found the best deals. Short answer: If your priority is screen size and pixels-per-pound, these TCL TVs are certainly worth considering - especially if you don't own a video streamer and want a TV with a fair share of smart apps built into it. For daytime TV and HD/SD streams, these will likely be fine, however those after the true splendour of 4K HDR playback may want to consider a more premium offering. We're going to focus on the best-selling TCL DP608, TCL DP628 and TCL DP648 TVs. With 4K resolution, HDR10 and Hybrid Log Gamma (HLG) support, as well as Freeview Play offering catch-up, on-demand services and live TV together in one place with no monthly costs, these TCL TV ranges are as feature-packed as you could hope for at the budget end of the market. There are Netflix and YouTube apps for 4K content and various apps that can be installed for SD and HD content. It's not clear whether Amazon Prime Video is available on TCL's TV offering - if it isn't, users of that video streaming service would have to get it through a budget video streamer, such as a Google Chromecast or Amazon Fire TV 4K Stick. Features: tick. But what about picture? As these TCL TVs are so new to the UK market, we haven't gone twelve rounds with any. However, if their specs, and our experience of cheap 4K TVs, are anything to go by, we'd temper expectations when it comes to 4K HDR performance. The DP648 models gets you TCL's Wide Colour Gamut and Brightness+ processing over the DP608 range, but brightness levels still max out at 320 nits, so these TVs won't truly make the most of HDR content. Again, at this price you perhaps shouldn't expect them to, but it does mean we wouldn't rush to pair them with a 4K Blu-ray player - advice we also gave regarding the similarly-priced Hisense 4K TVs we recently reviewed. If you did want to take the risk, all the sets' two or three HDMI inputs are compatible with 4K passthrough from connected 4K sources. For non-HDR content, however, they should perform just fine where brightness is concerned. And we could only hope – especially considering the brand's popularity abroad – that their colour, detail and sharpness levels are up to scratch, too. TCL has five core TV ranges in the US, offering televisions in size from 28 inches all the way up to 75 inches. So how do the different TCL TVs compare? And which one should you go for? Let's take a look. The 1-Series (D100) is a basic HD TV with no Smart TV functionality or internet connectivity. It's an LED TV, as all TCL TVs are, with a 60Hz refresh rate. You get three HDMI inputs and a USB 2.0 connection, a 60Hz refresh rate, digital optical and analog RCA outputs, and TCL's standard remote. 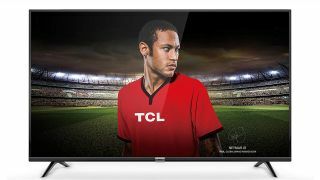 The TCL 3-Series (S303, S305, S325) is also an HD TV but offers wireless connectivity and Smart TV features. It's an LED TV with a 60Hz refresh rate, and comes in 28in, 32in, 40in, 43in and 49in screen sizes. There are three HDMI inputs and a USB 2.0 connection, digital optical output, the addition of a headphone jack and TCL's "Easy-to-use" remote. There's a digital TV tuner, too. The TCL 32S305, TCL 32S327, TCL 40S325 and TCL 49S325 are some of the best-sellers in this range. The first 4K TCL range is the 4-Series (S401, S403, S405, S421, S423, S425). Unsurprisingly it's not available in as small screen sizes but instead starts at 43-inch. There are also 49in, 55in and 65in models. Again it's an LED but here with a 120Hz refresh rate. You have the option of wireless and Ethernet connections for your Smart TV apps, there's support for HDR10, plus three HDMI 2.0 inputs with HDCP 2.2, one with HDMI ARC, a USB 2.0 connection, digital optical output and headphone jack. There's a digital TV tuner, too, and you get TCL's Easy-to-use remote. The TCL 43S425 and TCL 55S405 are two of the best-selling models here. Step-up to the TCL 5-Series (S515, S517) and you get all of the above, in the same screen sizes, but with a few extra features. There's support for Dolby Vision, as well as HDR10, an HDR Dynamic Contrast mode, Wide Color Gamut support, and the addition of an enhanced remote with voice control alongside the Easy-to-use remote. The TCL 55S517 is one of the most popular sets in this range. At the top of the pile you'll find the TCL 6-Series (R615, R617). Available in 55in, 65in and 75in screen sizes, it has all the above features and functions, but adds "Contrast Control Zones", which we know as local dimming, with the number of zones - up to 160 - dependent on the size of screen you choose. The TCL 55R617 is the most popular model in this series.